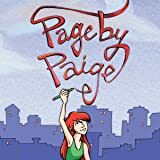 Paige Turner has just moved to New York with her family, and she's having some trouble adjusting to the big city. In the pages of her sketchbook, she tries to make sense of her new life, including trying out her secret identity: artist. As she makes friends and starts to explore the city, she slowly brings her secret identity out into the open, a process that is equal parts terrifying and rewarding. 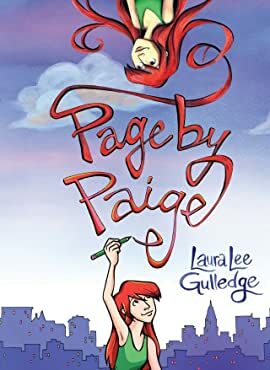 Laura Lee Gulledge crafts stories and panels with images that are thought-provoking, funny, and emotionally resonant. Teens struggling to find their place can see themselves in Paige's honest, heartfelt story. 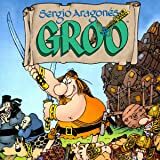 The usual suspects Sergio Aragones and Mark Evanier once again join forces to bring you sidesplitting tales of the world's stupidest barbarian. 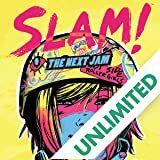 Get ready for another lap around the track in this follow-up series to Pamela Ribon's critically acclaimed SLAM! After breaking one of the biggest rules in derby (not to mention an actual collarbone), Knockout and CanCan have a lot of work to do to rehabilitate their bodies and improve their standings in the league.